Built back in 1977, this stadium hasn’t received any major overhaul yet. 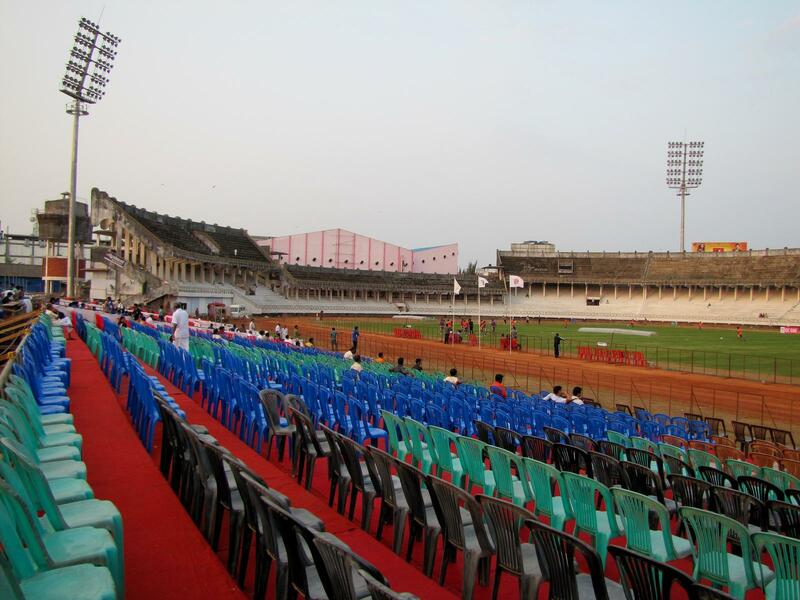 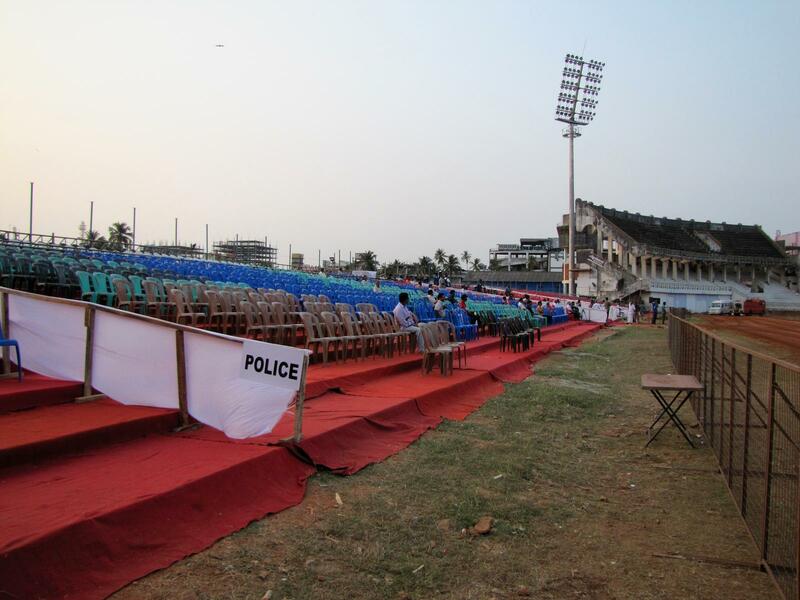 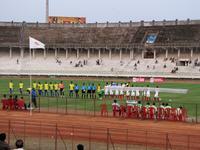 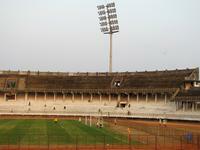 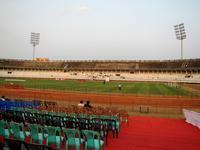 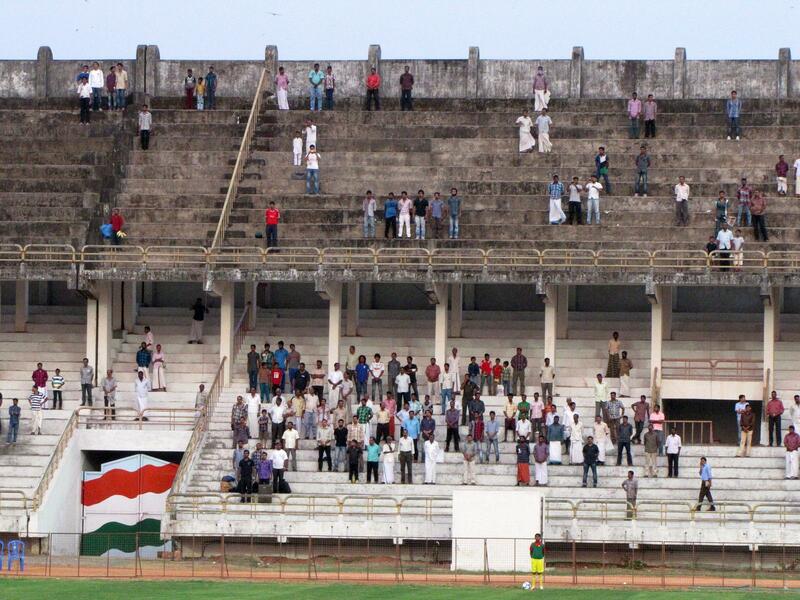 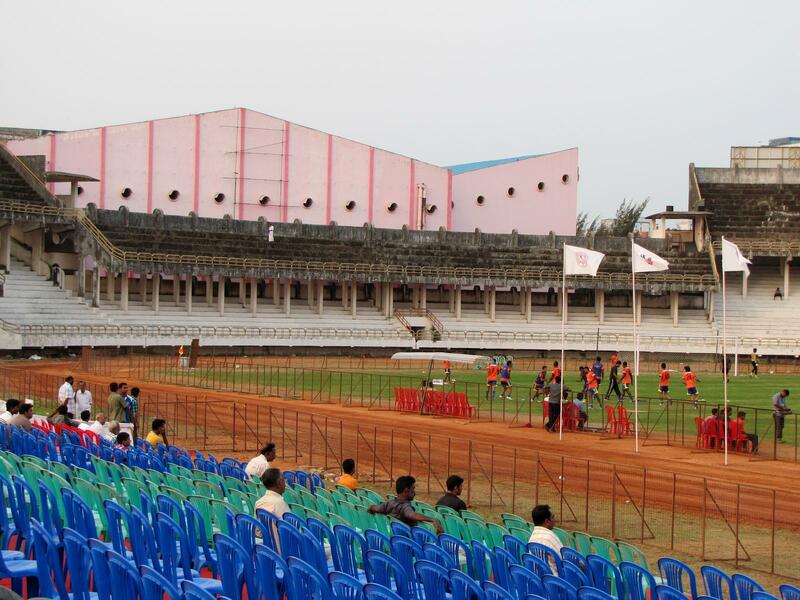 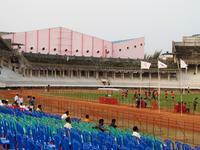 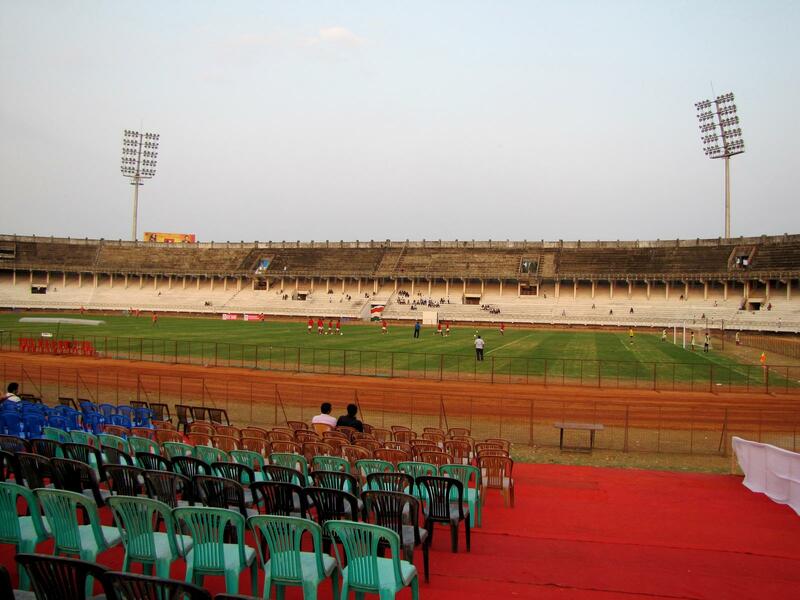 Initially with stands all around the pitch, it has no main stand any more as it was torn down in recent years. 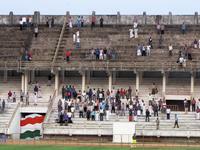 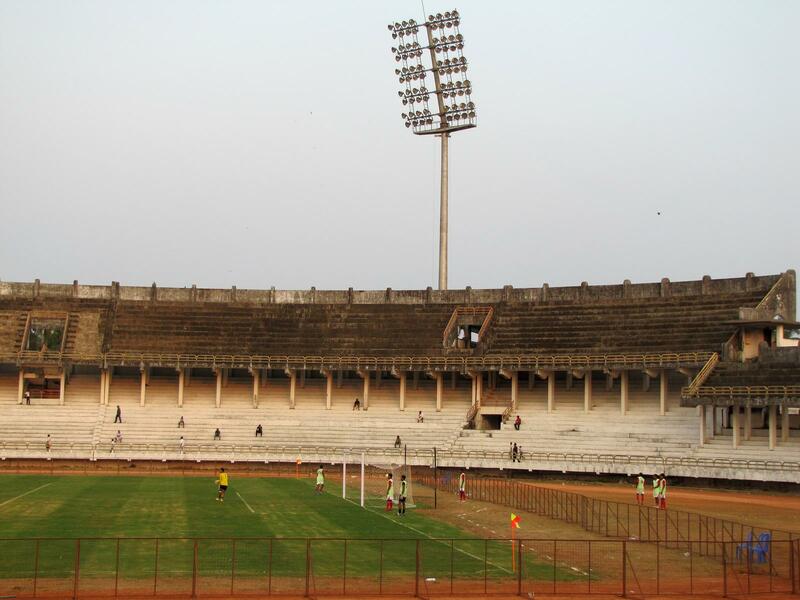 Remaining terraces (no seats) have a very unique shape and certain charm, but are dilapidated despite works carried out in 2005 to refurbish the lower tier. 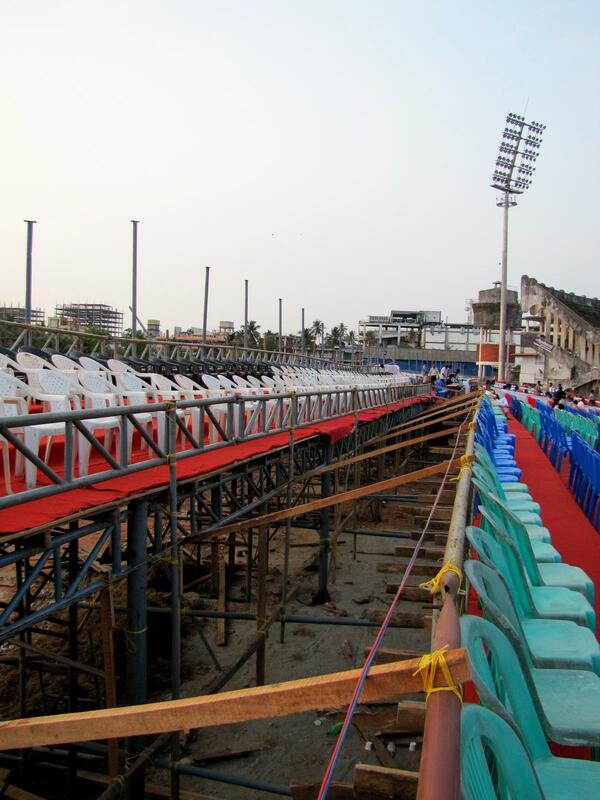 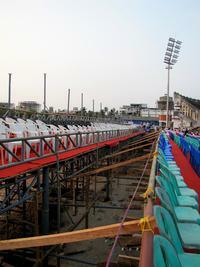 Instead of the old main stand there are only temporary scaffolds with covering and loose seats atop – for prominent guests. 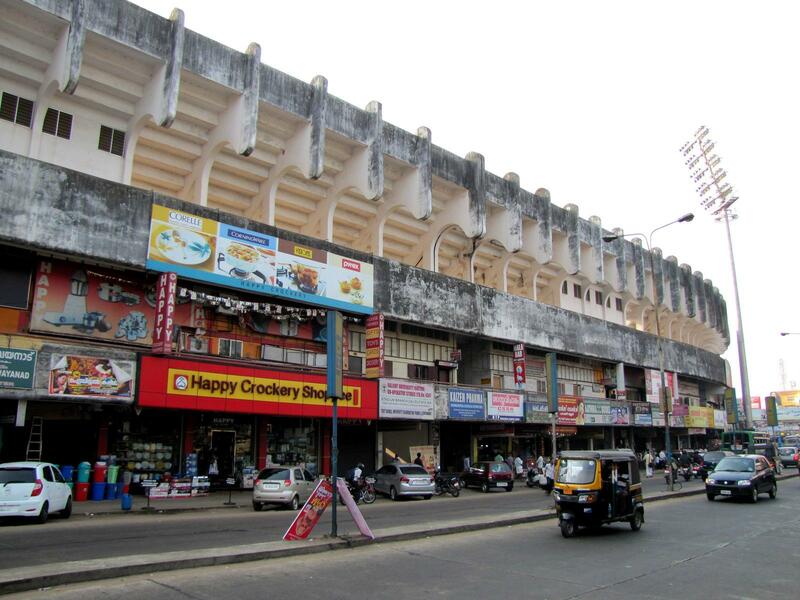 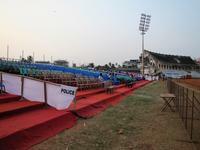 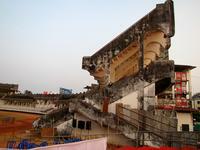 Despite its bad shape overall, it’s still used for major domestic games of football as well as international events. 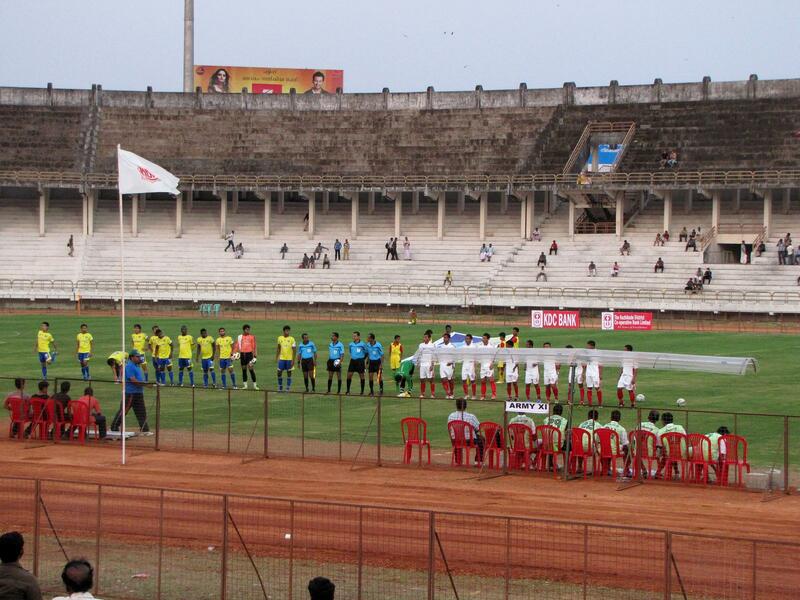 Hosting any of these is possible after floodlights were installed in early years of twenty-first century.